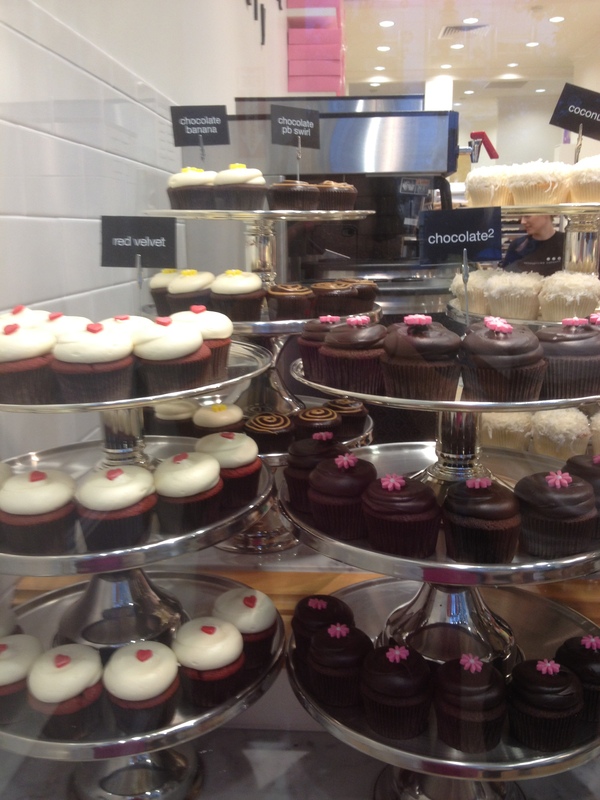 If you’re addicted to reality tv like I am, I’m sure you’ve seen DC Cupcakes on TLC like I have many times. The two sisters not only make beautiful cupcakes but crazy cupcake creation. I mean a tea pot and teacup made from cupcakes that actually pours tea? Amazing! 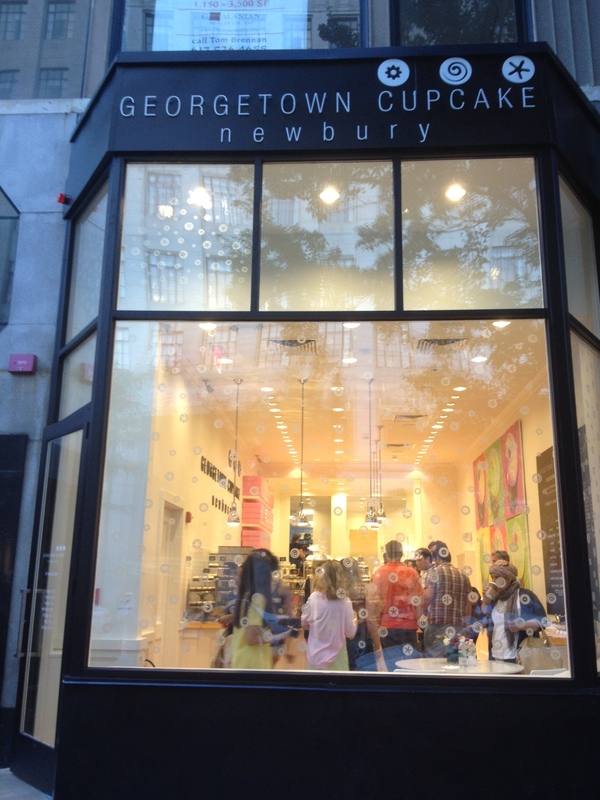 So Apparently they’ve had so much success that Georgetown Cupcakes is not only in DC but New York, LA, and now Boston! I had been hearing that the cupcakes were great but it seems like people always think cupcake shops are good when they’re not always…anyone remember Cherry Bomb Bakery? Grodie! I figured that I had to try this place out to see if it lived up to the hype, I mean apparently people in DC line up around the block to get cupcakes from their original store in Georgetown. Talk about success, those sisters must know what they’re doing. 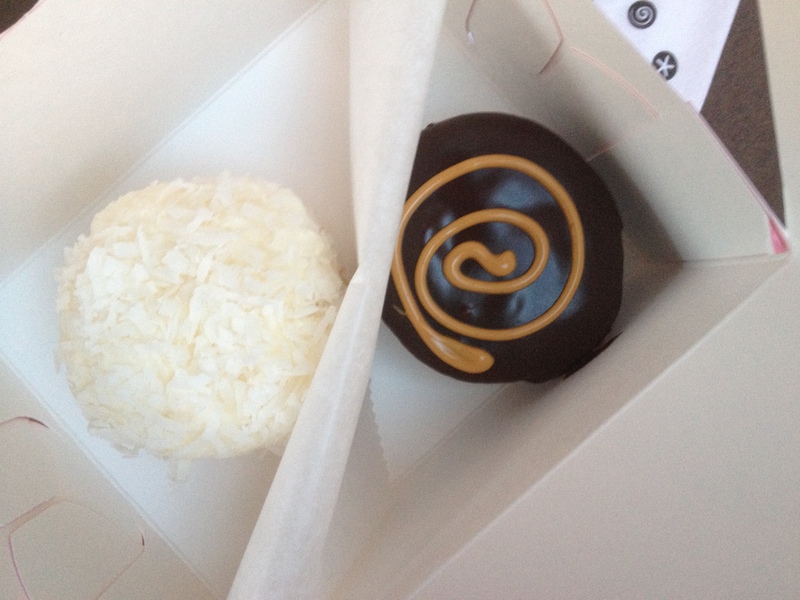 I went with my friend Lindy tonight after she had told me they were great cupcakes…but being the amazing friend she is, she told me they weren’t as good as mine, awwww! First impression is that the store as a whole is super cute. They have lots of displays of cupcakes but those aren’t the ones for sale, they take them off of trays behind the counter. Once you order, they give you a number and you have to wait to get your cupcakes boxed up. This is a bit annoying but I guess they have a system in place. It wasn’t super crowded so we didn’t have to wait long once we ordered to actually get our cupcakes. The verdict? Lindy really liked the coconut cupcake and said the cake had a hint of coconut flavor but the frosting was a little soft for her. 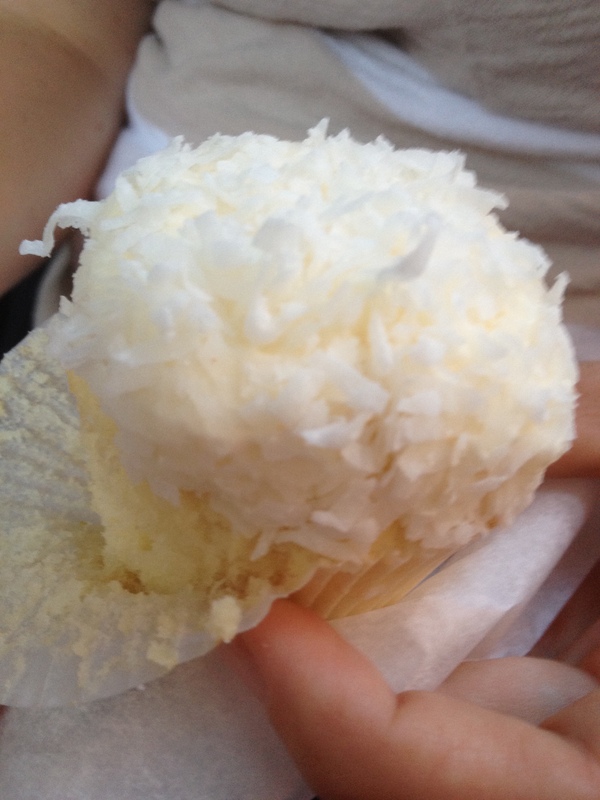 It had a nice covering of coconut and looked adorable like one of those snowball snack cakes. I didn’t try it but overall it sounded like a delicious cupcake. 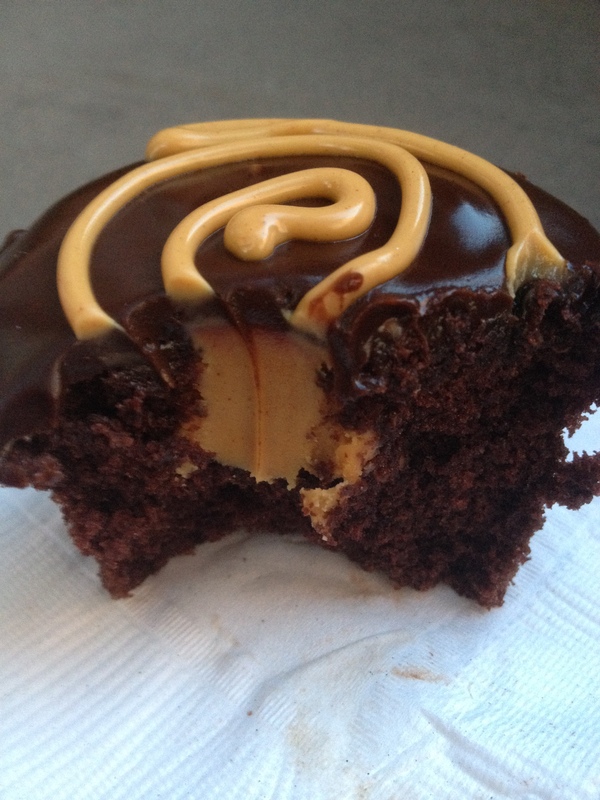 The peanut butter swirl cupcake was a moist cupcake with a peanut butter center and chocolate ganache on top with a peanut butter swirl. The cupcake was amazing but my only complaint was that the center was straight peanut butter which was a little overwhelming, so I think a peanut butter cream would have made it a little better. 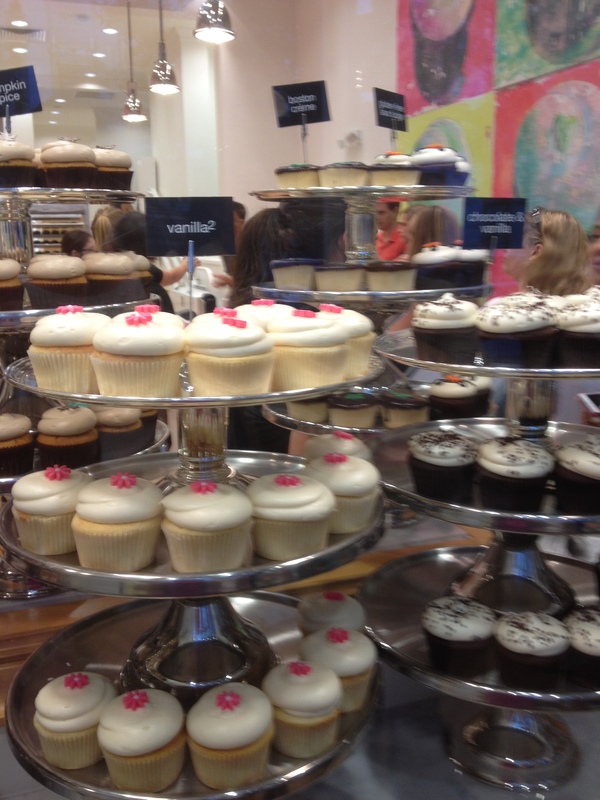 Georgetown Cupcakes definitely knows what they’re doing with making a great cupcake. The cake is moist and the frosting is just how I like it, not a grainy sugary mess. I am definitely going to be going back to try some different flavors, this was an adventure that I’d definitely like to take again. With nice weather and weekend BBQ’s even though it’s not officially summer, it sure feels like it. I’ve been trying to come up with more summer inspired cupcakes to bring to these weekend events since chocolately cupcakes can get pretty heavy in the warmer weather. When I was a kid I loved setting up my lemonade stand on the side of the road to try to make a little cash in the summer. One time my friend and I were selling pink lemonade and someone asked us if we had made it (well we had made it from the frozen concentrate, that counts, right?) and how we got it pink. I told her raspberries. Hey, I was a budding entrepreneur and I had to come up with something quickly. 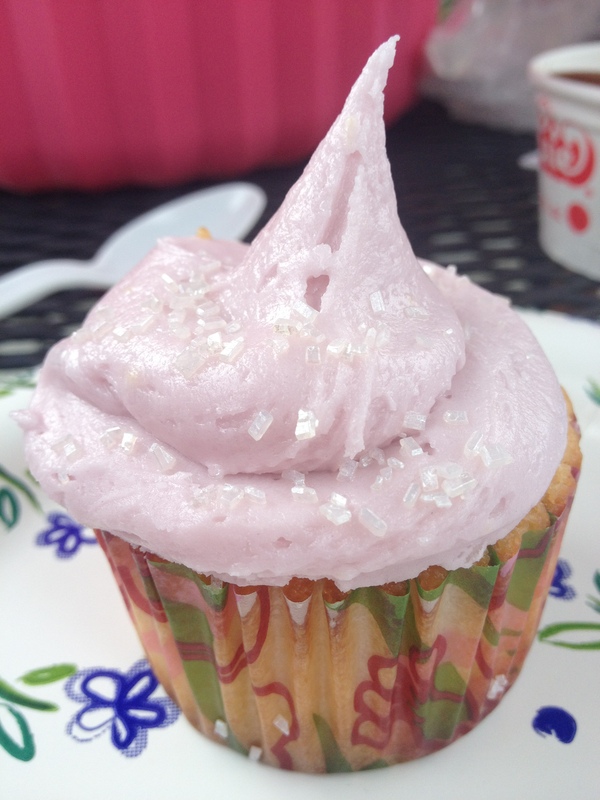 Since pink lemonade is such a refreshing summertime drink, I figured, how about a pink lemonade cupcake? This was a tough one since all of the recipes out there in the internets called for boxed cake mix, which obviously I wasn’t going to do so I had to improvise. Add all but 1/2 cup of milk mixture to crumbs and beat at medium speed (or high speed if using handheld mixer) for 1½ minutes. Add remaining ½ cup of milk mixture and beat 30 seconds more. These cupcakes were super lemony and tart. They didn’t necessarily taste like pink lemonade, but rather a lemon cake. 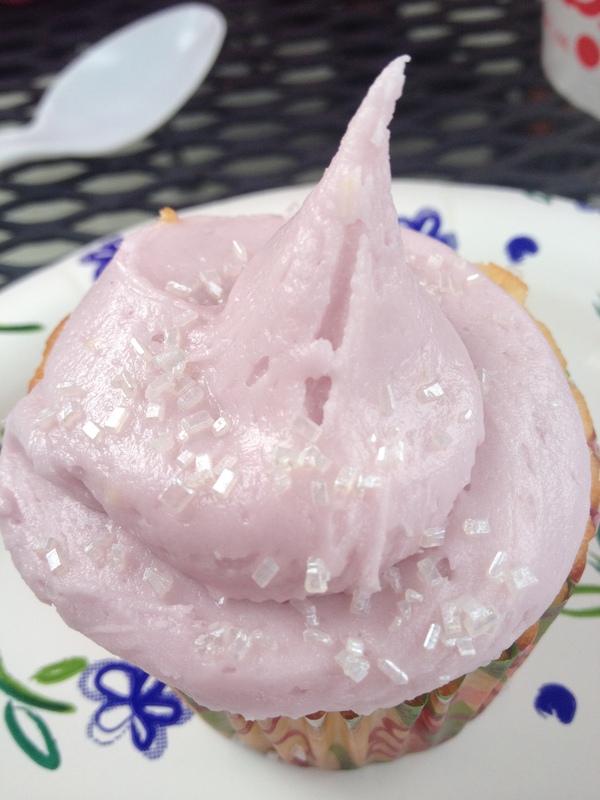 If I was to make them again, I might not do a pink lemonade frosting but rather a whipped cream topping so it was less tart. Everyone at the BBQ liked them, although I think they were a little sour for the little kids. 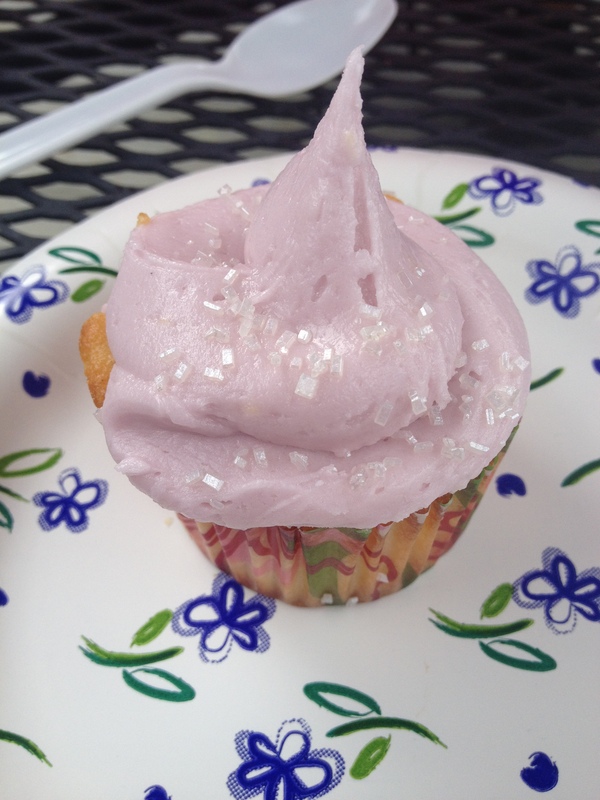 To quote Boy Cupcake, “They were a perfect beginning of the summer cupcake. They tasted like goodness in your mouth. They reminded me of a pink lemonade Italian ice”. Thanks for that one. That’s why I love him. 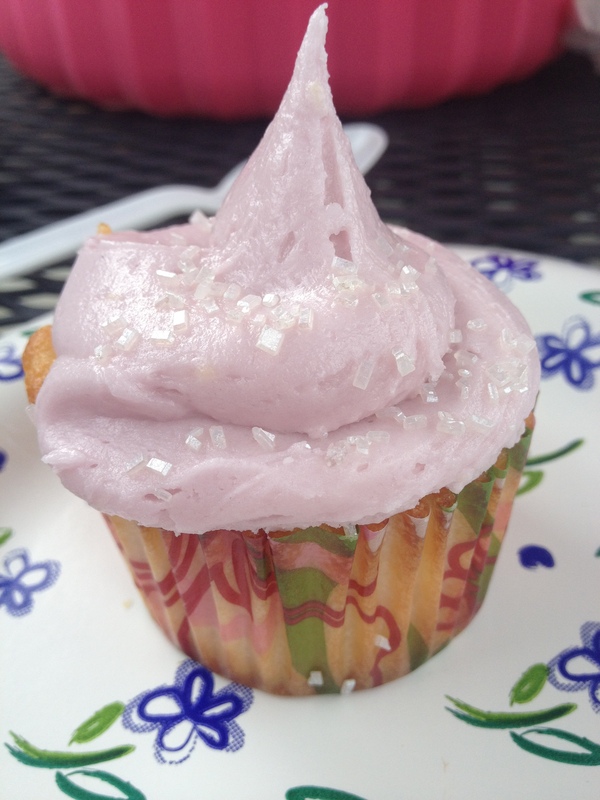 Now I’m on the quest for more summer inspired cupcakes. Any ideas of what you’d like to see at your summer BBQ? Leave me your ideas and I’ll put them on my list!